As game executive Bing Gordon famously put it (about) in 2010, "This is the most promiscuous app audience in the history of mankind". 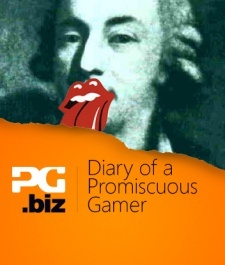 This is the 'weekly'* diary of a promiscuous gamer. Still going strong in terms of daily play, Adventure Town provides a simple, light and enjoyable slice of time management/RPG-ing. 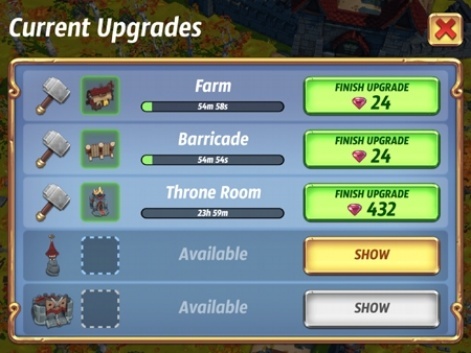 I'm currently stuck in a grind situation as all the next upgrades to my city are based around upgrading my castle to level 6, which I don't have enough resources to do i.e. I will have to decide if I want to spend money. 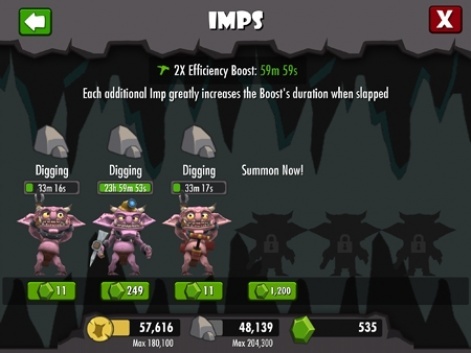 Call me odd, but I'm still enjoying slapping my imps in Dungeon Keeper. It certainly provides a different cadence to other mobile strategy games, but maybe that's why I like it. I seem to have hit a plateau in terms of progression with this game, particularly in terms of getting enough gold to research the RPG elements required to unlock character expansion. Let's grind for another week and see what happens. Currently my go-to game, Royal Revolt 2 has really impressed me, especially in terms of its user interface and user experience. The very well-integrated PVP mode also ensures you don't just focus on base-building, which is something I tend to end up doing in such games. As with many Glu Games, Frontline Commando 2 is tight in terms of monetisation. I've already spent $1.99 to get a better assault rifle, and likely will have to spend more to get a better sniper rifle if I want to progress to the next set of levels. Graphically and presentation-wise, it's top-notch, however. I'm surprised games of this quality are still being made and released. Graphically, this is very poor and gameplay-wise it's static and dull. Sorry, I'm not downloading an 742 MB update that's described as "minor bug fixes". All round, this game has proved to be a terrible mobile experience, which is odd when you consider how many great mobile racing games there are. 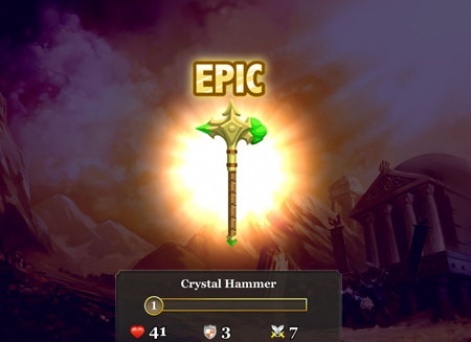 I've been playing Epic Empire for months, but the wave of new games, combined with the fulfillment of my longterm goal to grind 999 Starstones and finally Forge an rare item - I wasn't impressed by the outcome - mean that it's time to let it go. Similar to Epic Empire, I've been playing Dark District since it was released but never really fell in love with it. The streamlined UI/UX was interesting, as was the decision to go with one building task rather than the usual builder unlock monetisation scheme. But fundamentally, I didn't find Dark District very enjoyable. I think I enjoyed Angry Birds Go! more in concept than actuality. Maybe I didn't try hard enough, but I didn't really work out how to move resources and troops between my planets. In other words, despite a decent tutorial, I think this was too difficult. Can't actually remember why I haven't previously uninstalled this. 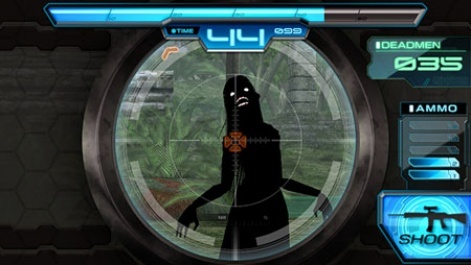 Deadman's Cross is another interesting hybrid - adding a first-person shooter element as the collecting mechanic in a card-collection/battler game. The monetisation is typically Japanese, however i.e. overly hard. I think it could have done with more presentational polish too. Fun game. Not much replayability though. What a horrible game in terms of graphics and control. Off my iPad now.